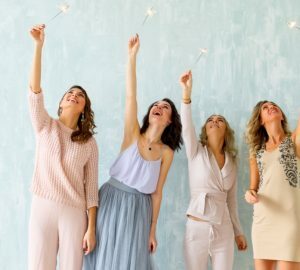 Your hair is called your crowning glory for good reason – great and glossy hair is a key part of your overall looks, personality and the impression you create on those around you. So strong, silky and beautiful hair can make you look gorgeous or handsome (as the case may be). However not everyone is blessed with hair that looks awesome naturally. Hair fall, split ends, frizz, dryness, greasiness, dandruff, itchiness, lack of shine, greying – hair comes with its own set of woes. Actually, your hair needs real care to look soft, smooth, silken, glossy, clean and healthy. 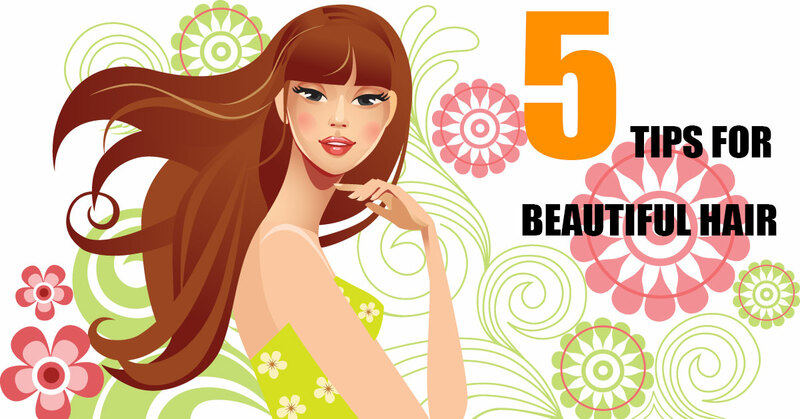 Here are five easy ways to make your hair your hair looks absolutely great day in day out. Hair and food? Yes, just like your skin, your hair too reflects the quality of your diet. After all, hair is basically dead cells made up of a protein called keratin that is produced by hair follicles embedded in your scalp and skin. So if your diet is lacking in proteins, your hair start looking dull and dry. Similarly these hair follicles are nourished by blood flow in scalp so if your diet lacks iron (a key part of blood), it shows up damaged hair. 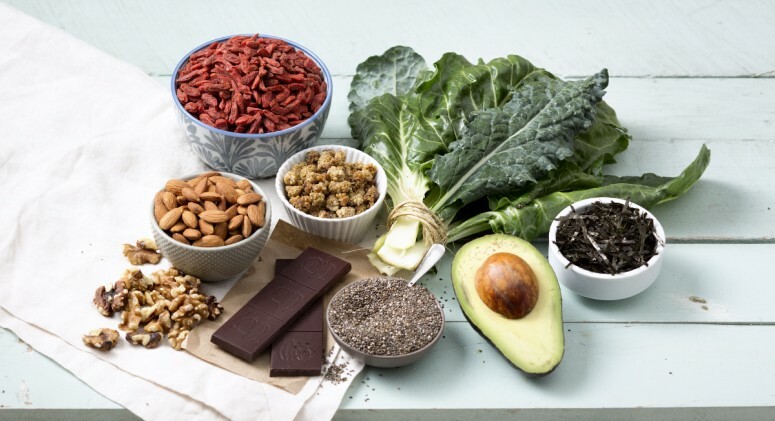 Equally important are vitamins (Vitamin B3, B7 & C), minerals (especially zinc) and antioxidants like essential fatty acids. A scalp massage every few days is a great idea to keep your hair healthy. As you know, every single hair on your head is rooted in the scalp through hair follicles that generates hair growth and nourishes it through blood circulating in scalp blood vessels. So when you massage your scalp gently using fingertips, the blood circulation increases, so does the absorption of nutrients by hair follicles. Hey presto, your hair starts looking better. While a dry massage also works, you should ideally use an oil massage for better results. 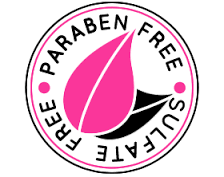 However, do check that your oil is totally free of mineral oil/ petrolatum / liquid paraffin. Your hair and scalp love to be pampered with pure botanical cold pressed oils like almond oil, apricot oil, jojoba oil, and grapeseed oil. For even better results, add 2-3 drops of a pure essential oil (like rosemary, rose otto, cedarwood or peppermint) to your hair massage oil. Botanical seed oils and essential oils are nature’s own pharmacy for healthy and gorgeous hair. Massage, leave overnight and wash hair with a really good shampoo in the morning. To know how to zero in on a really good shampoo, read on. 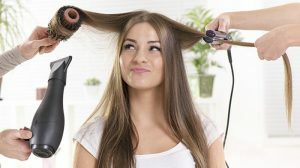 Love to style your hair/ Well, blow dryers, curling irons and straighteners are all bad for your hair. Heat may lend temporary style and smoothness to your tresses but it also damages your hair cuticles by drying them out and leaving hair brittle. So if you want long term healthy hair, lay off regular use of heat treatments on hair. Let your hair dry naturally. If you want curls, use old fashioned foam hair rollers. If you want waves, try overnight braids. If you must use a blow dryer, use a low heat setting. Keep it at least 8 inches away from your tresses, and stop hot air when the hair is 90% dry. Have you ever checked your shampoo’s label closely? Have you ever taken a look at the ingredient list mentioned on it? 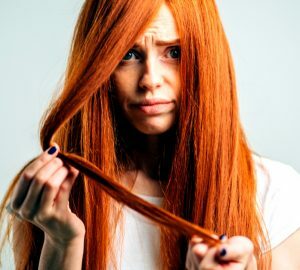 Do you know that some ingredients like suphates and parabens that are commonly used in shampoos actually dry out your hair (and damage your overall health too)? Sulphates (also written as SLS) are chemicals added to shampoos, hand washes and soaps for creating rich lather. Unfortunately, sulphates leach away your hair’s natural oil coating that keeps it protected from damaging factors like sun’s harmful rays, dust and dryness. So next time you are out to buy a shampoo, first read the fine print. If it says SLS or parabens, leave it alone. WOW has a range of superb shampoos enriched with healthy botanical actives and totally free of harmful sulphates and parabens. We especially recommend WOW Apple Cider Vinegar Shampoo which is great at restoring smoothness, softness and gloss to hair. The best thing is this also clears up dandruff and flakiness naturally (Apple Cider Vinegar is an excellent anti-dandruff bioactive). 5. Condition your hair twice week. Deep condition hair once a month. A good shampoo not just cleanses, it also delivers amazing results for your hair. And when topped with a good conditioner, these results become simply awesome. Every time you shampoo your hair, apply conditioner to hair ends. Once a week, apply and massage in hair conditioner all over scalp and hair. Leave on for 5-10 minutes and rinse. Once a month, apply hair conditioner as a hair mask and wrap head with a steaming towel. Leave overnight or at least one hour. Wash and enjoy silken smooth hair. So how do you pick a good conditioner? Simple, take a look at the ingredient list. If should have pure botanical oils (almond, coconut, argan, castor etc) and healthy plant proteins (soy, wheat). Of course, the no-parabens, no sulphate, no-mineral oil rule works here too.